It’s that most wonderful time of the day again when you get to dig deep into your pockets to spend some money on some wonderful products and accessories. We all love spending money, and we all love taking delivery of those purchases, but we also all love saving money as part of the process. That’s where our daily tech deals step in. Starting off we are looking at an iPhone X compatible wireless charger coming in at a mere $15. Next up we have is an LED box which can be set using your custom text and comes in for just $35. iPhone 7 Smart Battery Case? Only $78. 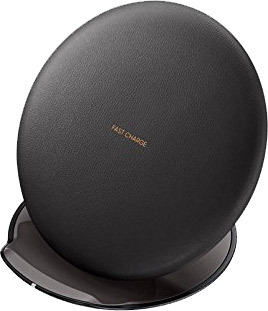 Next up is another wireless charger, again with discount applied. As always, make sure you act quickly to grab the product of your choice from the list here as these deals are usually time sensitive and subject to stock levels. Enjoy the savings! Apple may have made wireless charging popular with the release of iPhone 8, iPhone 8 Plus, and iPhone X, but it is worth mentioning that plenty of devices have subscribed to the Qi protocol prior to Apple getting involved. 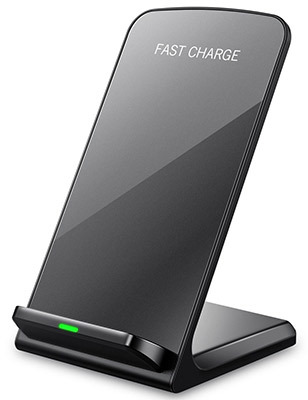 However, if you do have one of Apple’s new smartphones or a Qi-compatible device by any other manufacturer, then this gorgeous wireless charging stand is the perfect accessory. You can get it for $14.49 using following promo code at checkout: CGCKHTHZ. 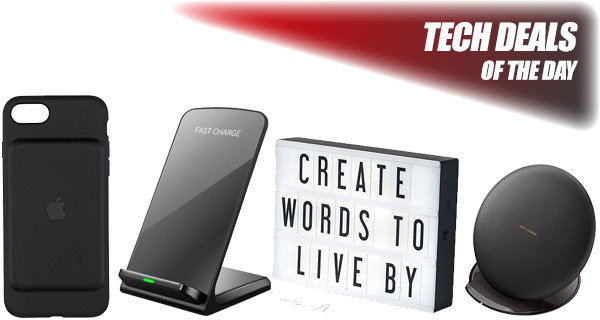 This is the perfect little gadget or gift for those individuals who like to be able to easily express themselves with words. 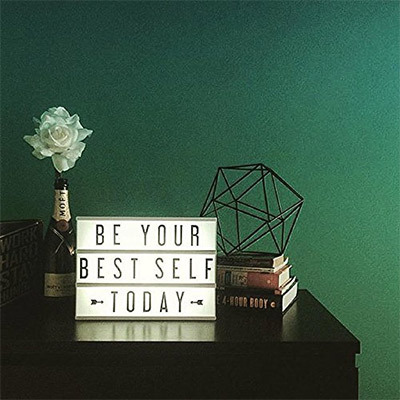 This lightweight and easy-to-manage lightbox come with 100 individual letters that let you create your own slogans of quotes which can then be illuminated with the backlight of the box. This will make any home look wonderful and unique as you express your personality. It’s not that often that we will actually see official Apple products or accessories reduced in price. When they are, it’s definitely worth acting and taking advantage of them. Especially if you needed the product anyway. This Smart Battery Case from Apple is compatible with iPhone 7 and instantly gives the underlying device a breath of fresh air when the battery is depleted or entirely dead. It’s also an official product so we can guarantee it will be perfectly engineered for iPhone. This isn’t a wireless charging pad. And it isn’t a wireless charging stand. In fact, this is the best of both worlds as it doubles up as both to suit any needs. Perfect for the office or home, it’s an official Samsung accessory so you can be guaranteed the highest level of quality. Perfect for Samsung’s Galaxy S devices if you own one of those, and will even work with iPhone X, iPhone 8 and 8 Plus. Next time you plug a charging product, can you include the wattage that it charges at? Does the iPhone X charger use 5W or 7.5W?